I ran into issues with websites not loading for me and discovered that the issue was my some settings I have on my Peplink router. I primarily use the Peplink router so that I can have two internet service providers running at the same time with a cellular failover due to the poor reliability and speeds in the rural area where I live. What I discovered was that I had inadvertently checked a couple of boxes when I first got the router that were causing all my problems. 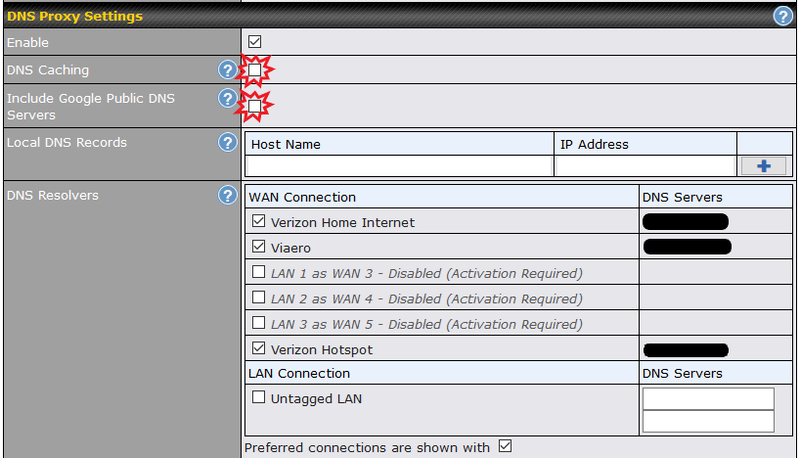 The settings were located in Network > Lan Network Settings > DNS Proxy Settings. Once I unchecked “DNS Caching” and “Include Google Public DNS Server” my SteamCache began to work correctly. On some computers I also needed to disable ipv6, but I already had it disabled on my router to begin with. Thanks for the heads up! I got it changed!